I am a librarian. I am a librarian only because I run a library. I do not have the schooling required to be a librarian in title. I am a volunteer librarian. About 7 years ago my kids’ Christian elementary school library needed some bi-weekly help. I thought “hey, I can do that, how hard is it to help kids sign out books!” Well to make a long story short, that led to me computerizing the library (yes they were still did everything on paper!!) That led to helping out a lot, since no one understood the computer system and that led to me taking over the whole thing! I now “work” there 2 day a week. How does this tie into running? Well one of the benefits of being a volunteer is I can make my own schedule. I show up in the morning, get the other volunteers organized for the student visits and then I head out for a run. I have a great 5k mapped out. It is a nice run because it is relatively flat. There are hills and only hills when I run at home so this is a nice change. Today I ran the 5k in 33 minutes. I need to shave 3 minutes off of that time to achieve one of my goals. I wore a new pair of running shoes today. I ordered them online. I have never seen these in stores, so I have obviously never tried them on. But hey, it was a really good sale so I gave them a shot. They were wonderful. 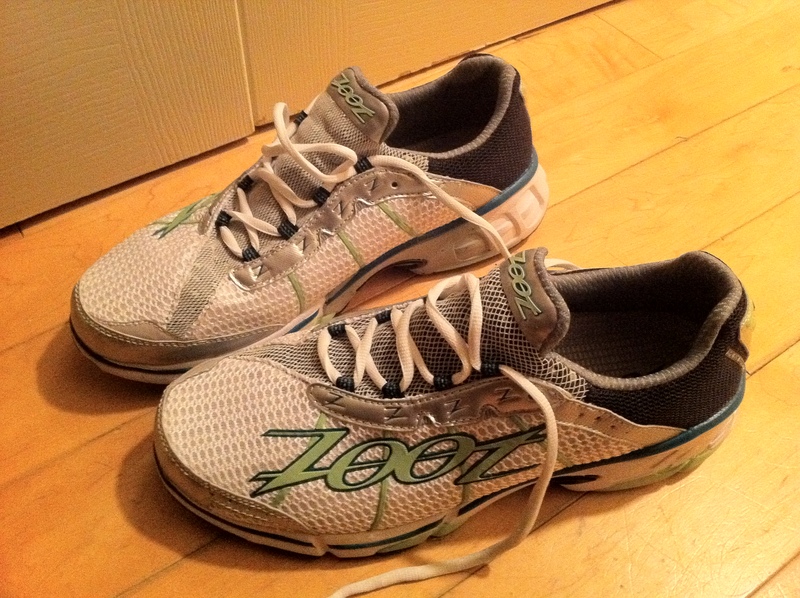 My new running shoes are Zoot Women Advantage 2.0. I will definitely buy these again although I would like to try some of their other shoes. They impressed me because when the weather warms up I will be able to run in them barefoot. I can’t wait to try that out. One goal is in the works, how many more can I get started on?